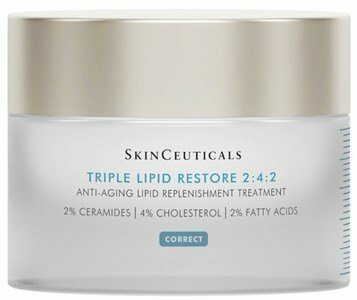 With the advancing age and skin aging, it accelerates the loss of natural compounds on the skin's surface in the form of ceramides, natural cholesterol and fatty acids, compromising the skin's natural protective barrier. The skin loses its self-healing ability, resulting in visible signs of aging such as dehydration, discomfort and loss of brightness. Clinically proven to improve moothness, sagging and pores for a skin visibly more radiant! Apply a small amount between your fingers, warming the cream, applying in a circular motion. Apply twice a day on the face, neck and chest.